Ilocos Police Killed Town Official, Aide? BALAOAN, La Union – The son of slain Vice Mayor Al-Fred Concepcion claimed here yesterday that the suspects behind the ambush of his father and his sister Mayor Aleli on November 14 in Barangay Cabua-an this town were policemen based on accounts of witnesses. Lawyer Carlo Concepcion, La Union provincial board member, told journalists that there is evidence showing that the perpetrators of the incident belonged to the police organization. He did not say whether political rivals were behind the assassinations. “The killing of my father was a clear case of political murder. We are not alleging that the hitmen are policemen, but witnesses told us the perpetrators appeared to be policemen. 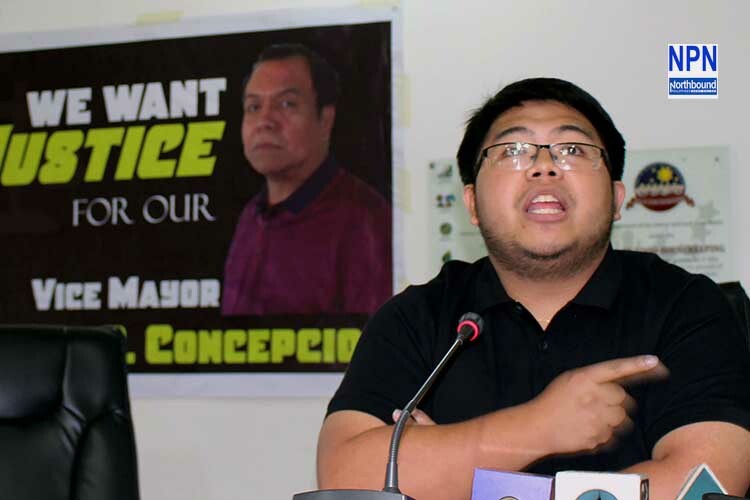 That’s why Mayor Aleli ( who was wounded in the ambush) has asked the National Bureau of Investigation to conduct a parallel investigation on the matter,” Carlo said. Task Group Conception, a police special investigation, is currently undertaking an investigation of the ambush that killed Concepcion, his aide Michael Ulep and the wounding of six other personal employees. Carlo, quoting witnesses, said that the ambush was staged by at least 15 suspects wearing bull caps, masks, bulletproof vests, boots similar to the combat shoes used by policemen, and other protective gears. He also deplored the slow pace of the investigation being conducted by the police Task Group Concepcion, that has not yet identified any single ‘person of interest’ in the ambush and the motive behind the killings. “The police is hiding something because when I asked about the progress of the investigation of my father’s case, they told me that there are already affidavits from witnesses, but when I asked for a copy, they declined to provide me, saying the investigation was not yet final,” he said. Meanwhile, in an interview over a local radio station, Senior Superintendent Ricardo Layug Jr., La Union police director, said that they have been exerting all efforts to solve the murders of Vice Mayor Concepcion and his aide and that they already have positive inputs with regards to the investigation. Layug said, however, that it is premature to divulge said information to the media because, he said, it might affect the investigation. “Let’s just wait for the results of the investigation, everybody wants a swift resolution of the case, and justice,” Ordinado said.